During his historic visit to the United States in October 2015, Pope Francis encouraged the nation s bishops to avoid harsh and divisive language, reminding instead that only the enduring allure of goodness and love remains truly convincing. These words provide as fine a summary of the Holy Father s visit (and of Jorge Bergoglio s papal ministry) as will be found anywhere. In Washington, New York, and Philadelphia, Pope Francis touched the hearts and consciences of Catholics, as well as people of all faiths or no faith, by the power of his gentle witness. 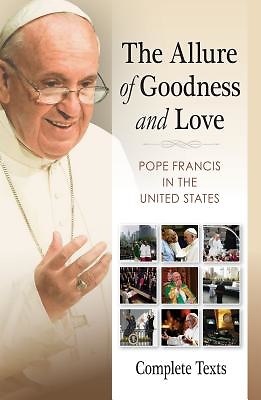 This book will serve as a powerful reminder to any reader of the allure of goodness and love that America experienced through the presence of Pope Francis."